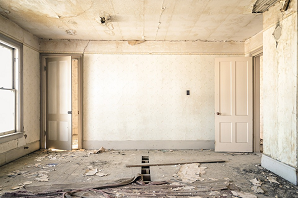 Fixing Fire Damage Repairs Yourself or Hire a Professional? It is important to consider the extent of the problem before you can decide if you would be able to clean up the fire damage yourself or if you should hire a professional for the job. If this was a small accident where only part of a room was ruined, then you might consider doing the repairs yourself. However, you still need to know that this is a huge task to clean up damaged that was caused by fire. Do you have any experience in this type of cleanup? Cleaning up fire damage isn’t the same as doing some normal housework and cleaning a room. There are a couple of things that you need to do and consider before you can start the cleanup. You should also consider the health risks of inhaling vapors that might be dangerous. If you have repaired this type of disaster before and you have the right equipment, this is something that you can consider doing yourself. But, you need to know if you are really ready for the task at hand. Professionals have the right experience and tools to do the repairs as fast as possible. As said before fire damage isn’t the same as having a filthy house or the same as cleaning water damage. This is hard work and you need to consider numerous things that you might not know about. There are so many reasons why you should rather hire a professional for cleaning up damage that was caused by fire. You will not have the strength after the trauma to think clearly and to be able to repair it as you should. A professional is objective and will be able to have the place looking normal again in no time. They are doing this on a daily basis and they know how to do it so that you and your family is going to be safe in the room again. There can be some vapors that you might not notice, that can be extremely dangerous and toxic. Should you hire a professional for fire damage, or should you rather do it yourself? The answer depends on these mentioned things. Most people prefer to hire someone to do the repair for them because they don’t know where to start. If you don’t have any experience in cleaning this type of damage, you need to consider hiring a professional that can do this in no time, and make sure that you don’t experience any more trauma.